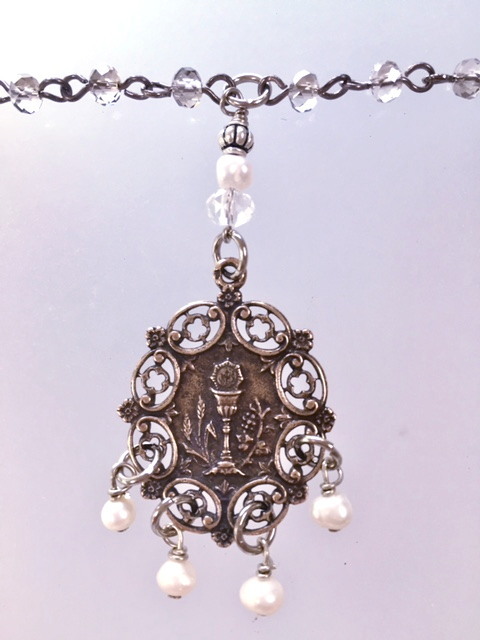 A Lovely French Silver First Communion charm suspended on delicate Smokey Crystal beads with 4 genuine Pearl Drops. The medal depicts the Communion chalice, symbolic wheat and Grapes, Fleur de lis and Flowers. The detail ,filigree, and cut-outs are amazing. 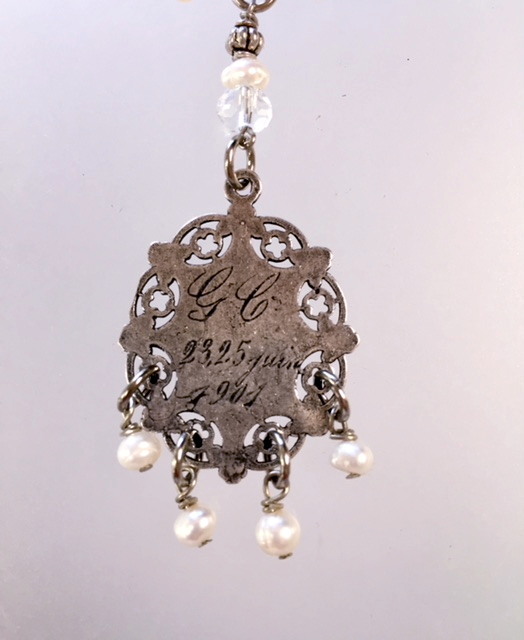 The back is engraved with initials and dated June 1901 in French. The charm is Cast from the original antique European medal; over a century old, this lovely reproduction is hand crafted. It is Sterling Silverplated and aged to a wonderful old world patina. A heartfelt piece worthy of a memorable Gift to a loved one... or yourself! Measurements~ Necklace is 28", Pendant is 1.25" by 1".